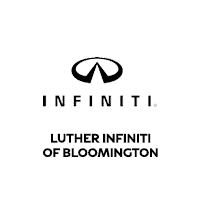 Service and warranty repairs are available through over 200 INFINITI retailers nationwide. Each retailer is dedicated to delivering the INFINITI Total Ownership Experience, which is our philosophy and commitment to your satisfaction. faulty workmanship. “Mechanical breakdown” does not include damage due to negligence, damage caused by an accident, damage to otherwise covered parts due to failure of non-covered parts, or gradual reduction in operating performance due to wear and tear. (2) For model year 2015 and prior, Basic Maintenance includes 2 – Oil & Filter Changes, plus 2 – Tire Rotations (as applicable) within the first 12 months of your CPO vehicle purchase. Beginning with some model year 2016 models and newer, Basic Maintenance includes 1 – Oil & Filter Change, plus 2 – Tire Rotations (as applicable) within the first 12 months of your CPO vehicle purchase. Please consult recommended maintenance schedule for more details as Basic Maintenance differs by vehicle and model year. (3) Required SiriusXM Satellite Radio, NavTrac and NavWeather subscriptions sold separately and are continuous until you call SiriusXM to cancel. Installation costs, one-time activation fee, other fees and taxes will apply. NavTrac available in select markets. Satellite Radio U.S. service and NavWeather service available only to those 18 or older in the 48 contiguous states and D.C. Fees and programming subject to change. Subscriptions governed by Customer Agreement available at siriusxm.com. ©2016 Sirius XM Radio Inc. Sirius, XM and all related marks and logos are trademarks of Sirius XM Radio Inc.
(4) Roadside Assistance available for the duration of the Limited CPO Warranty. (5) Subject to availability. Available during the 4-year/60,000-mile Basic warranty or customer-paid repairs (not including collision repairs). Customer must be 21 years of age or older with a valid U.S. driver’s license. The customer must provide proof of primary insurance. Other restrictions apply to courtesy vehicle, including mileage and day-use limitations. This program is subject to change without notice at any time. (6) See your local INFINITI Retailer for details and read the warranty booklet or extended protection plan.